This issue’s cover is from Raymond Briggs and Allan Ahlberg’s The Adventures of Bert. Raymond Briggs and Allan Ahlberg discuss their creative collaboration. Thanks to Puffin Children’s Books for their help with this September cover. 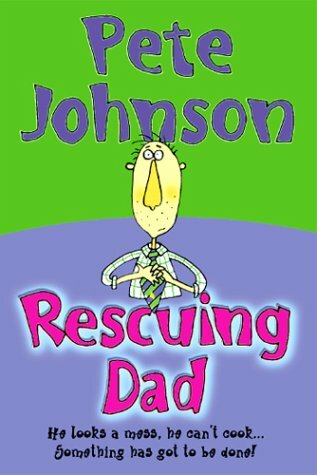 Children are often the victims when a marriage falters or fails and in Rescuing Dad Pete Johnson illuminates this distressing reality with the perceptive humour which is a trademark of his work. When Claire and Joe's parents decide to separate the children are determined that the reconciliation must be effected as soon as possible. The object of their campaign - Dad Mark 2 - is to correct their father's failings and render him once again irresistible to their mother. They pursue their goal with vigour - discouraging a potential boyfriend from wooing their mother and embarking on a fitness campaign and a strict programme of domestication with their father. The results are by turn hilarious, thought provoking and shot through with a strong bolt of realism: the events of Joe's birthday are as fine a piece of slapstick comedy as I have read. Their parents are finally distracted from their own concerns and focused on the feelings and needs of their children - no watertight happy ending here but a clear indication of hope for the future - and, perhaps a sequel?